What do I think of it? Well my initial thoughts (as I am literally typing this moments after the list going live) is that it is an interesting list if not a wholly surprising one. Barry, Hamid, McCormack, Roy, Saunders, Shamsie, the Smiths (not the band but imagine if Zadie and Ali made a band that would be something) and Whitehead have all been heralded and been up for several awards – if not winning them before. This is by no means a slight as a) long time readers will know I do have a thing for the Booker b) I have read and loved the Barry, Hamid and Whitehead novels this year (reviews coming soon) and indeed love Ali Smith full stop, plus as with Ali’s I have been very keen to read the new much awaited Roy novel. I am also intrigued to get to both the Saunders and the McGregor as they have been on my TBR for quite some time. So interestingly this is one of the most instantly ‘yes I would read all those books’ Booker longlist I have seen in some years, in fact it is also one of the most ‘ooh I have actually read a few of those’ Booker linguists. Yet one of the things I love about book awards is discovering something or someone completely new to me. This is possibly because I am a contrary old so and so but it is true. So for me the Fridlund and the Mozely are the ones I am the most keen to rush out and read now (if I wasn’t myself judging the Costa’s, though I may still have to get it). That said alongside the Mozely the other book I most want to read is the Shamsie, an author who has been up for many an award with both Burnt Shadows (which I funking adored) and A God In Every Stone (which I also thought was pretty blinking brilliant) and whose new novel feeds into my recent mini obsession of greek myths retold. So those may be three I try and squeeze into my summer/fall reading. Which would I like to win at this point? 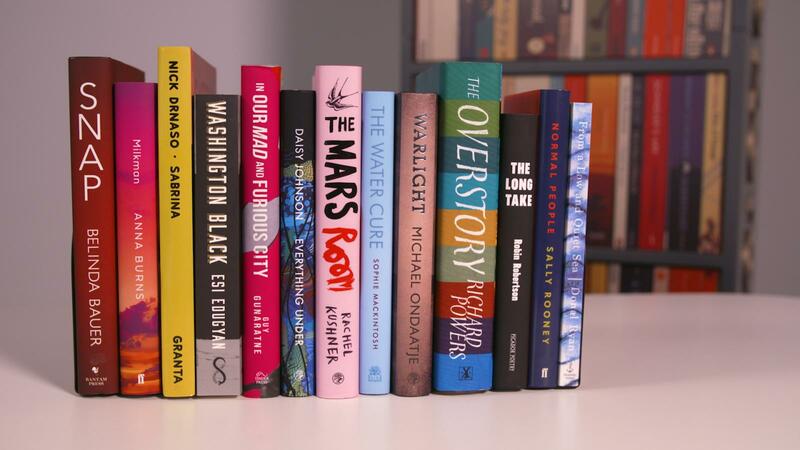 Without a seconds thought Mohsin Hamid is my current personal favourite to win, which may shock some of you as you may know that I fell hard for the Barry. 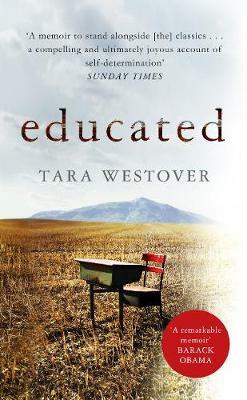 Yet, I utterly adored Exit West when I read it and it has grown on me more and more since both in the way it looks at refugees, war and love with a speculative yet oh so realistic twist or two. More on that book, and some of the others, very soon. In the meantime… What about all of you? What are your thoughts on the list? Are you happy, is there a title or two missing for you? Which have you read and what did you make of them? Any favourites? 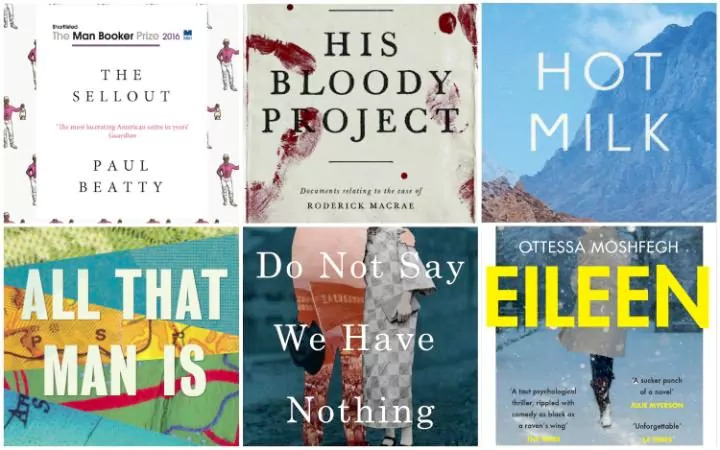 Having read the entire shortlist I don’t envy the judges having to make the decision because (despite me possibly being a bit underwhelmed at first – before I read them, so who on earth did I think I was) I thought the shortlist had a huge amount to offer and were actually all very different. The psychological profiling and claustrophobic clinging atmosphere in Eileen, the huge conversations about family and Europe in Hot Milk, the use of satire smoking some serious rage in The Sellout which will have you checking your own prejudices, the sense of adventure, storytelling and gripping nature of His Bloody Project, the short stories meets novel in All That Man Is which looks at what it is to be a man throughout an entire life and the epic nature of Do Not Say We Have Nothing which looks at dark histories and culture clashes in the present. So yeah, quite a choice. So huge congrats to Paul, and to all the shortlisted authors. 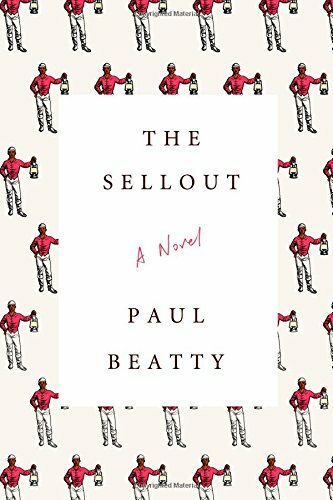 Have you all read The Sellout and if so what did you make of it? My review will be live, very, very soon – and that video and podcast too. 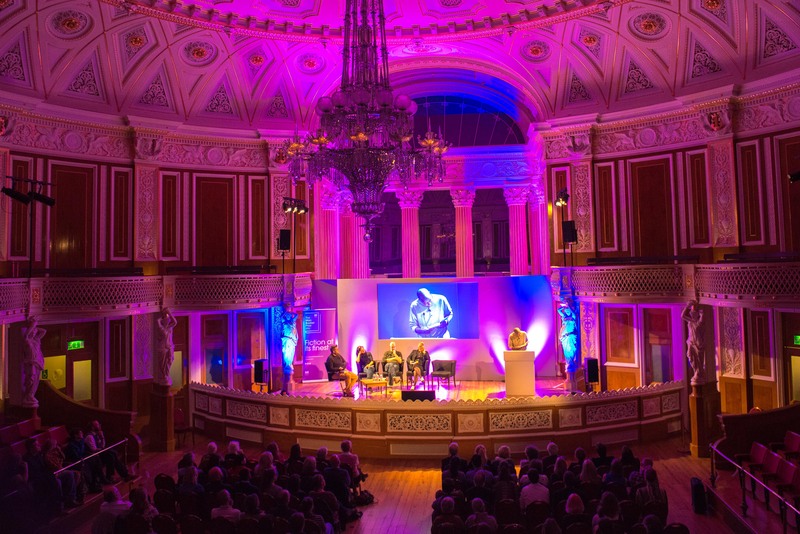 One of the exciting things that I have been meaning to tell you about for ages, after it being a secret for quite a while, is that I am working on and hosting a very exciting event this week… as the Man Booker Shortlist is coming to Liverpool on Thursday night . When I say the shortlist I actually mean four of the shortlisted authors; Paul Beatty, Deborah Levy, Graeme Macrae Burnet and Ottessa Moshfegh, who will be popping to the stunning Liverpool library to meet some reading groups and then doing an event (hosted by me, not nervous at all) in the evening in the stunning Concert Room at St George’s Hall (if you fancy coming details are here). Now I am holding fire on talking about all the books in full until after the event, though I will then dish all and predict a winner, but you can see me chatting about the shortlisted books, the first chapters of five and the whole of one, in the video below which I hope will give you a taster of what to expect if you are still debating which to read as the list is quite an eclectic one, which I like. In the interim before I report back I just thought I would give you that quick update. If you are near Liverpool on Thursday do pop by (I know it is short-list notice, see what I did there, but I have been bonkers busy organising the event and now suddenly it is here). I would also love to hear your thought on any of the shortlisted books that you have read. It seems a while since we had a good old bookish natter about some specific books. In case you are wondering why these are all in different formats; the books in bold I have read, the books in italics I have on my shelves. The Many is a book I was actually contemplating reading last week for Booktubeathon because it is slight and sounds spooky, it may well be the one I turn to next. Hot Milk I have been meaning to read for ages, as I have The Sellout which I was kindly sent by a lovely friend in America ages ago. Do Not Say We Have Nothing only recently arrived and The North Water has remained on my shelves despite being set on boats since reading Shirley Barrett’s whaling novel, Rush Oh!, earlier in the year (again I haven’t reviewed it yet) and loved it. 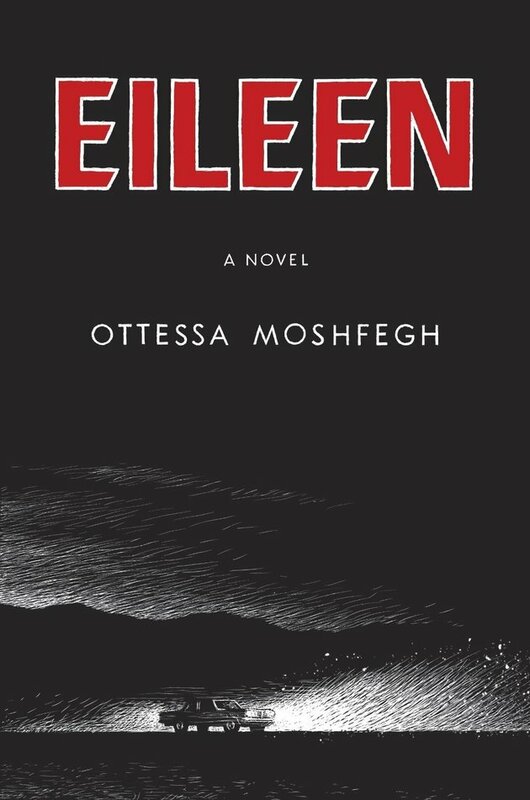 The others I know very little about but two are calling to me instantly, His Bloody Project because it is a thriller and Work Like Any Other which sounds intriguing with its tale of electricity stealing and manslaughter. Szalay and Means I need to look into more, Coetzee I have read and enjoyed, Kennedy I still haven’t tried and feel I should. Am I going to read the longlist? Yes and no. I think I am going to see what takes my fancy between now and the shortlist announcement in September (though I have a feeling The Many may get whisked off the shelves this weekend) and see what happens and what the shortlist looks like later in the year. It’s an interesting list of books though that is for sure. What are your thoughts? Which of the books have you read and what did you make of them?